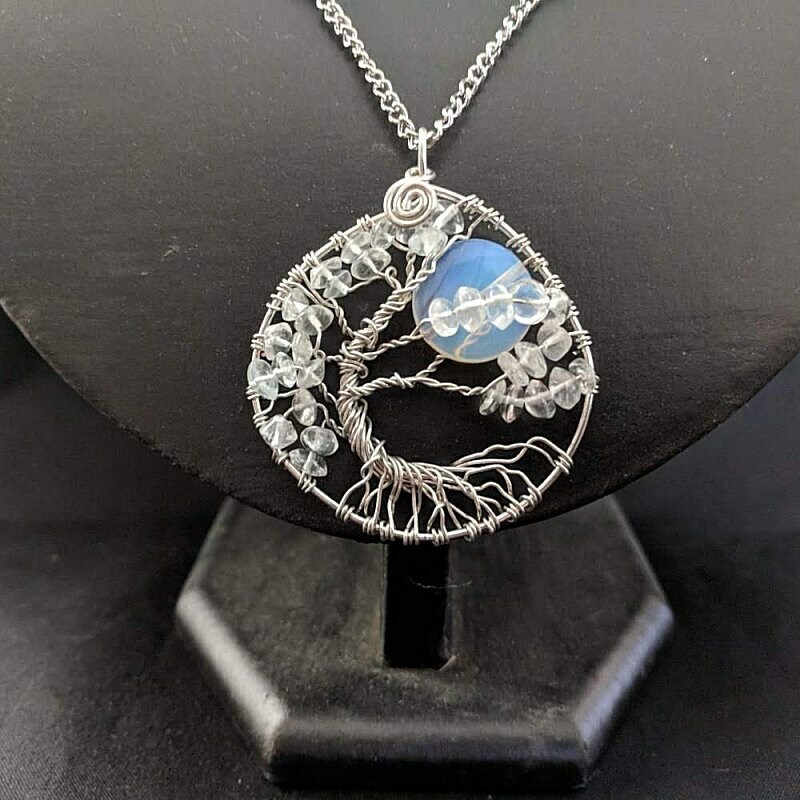 Winter's Moon #1 - This handmade Tree of Life pendant has iced branches and a large moon (clear quartz crystals and rainbow moonstone) that is full of illuminating energy! 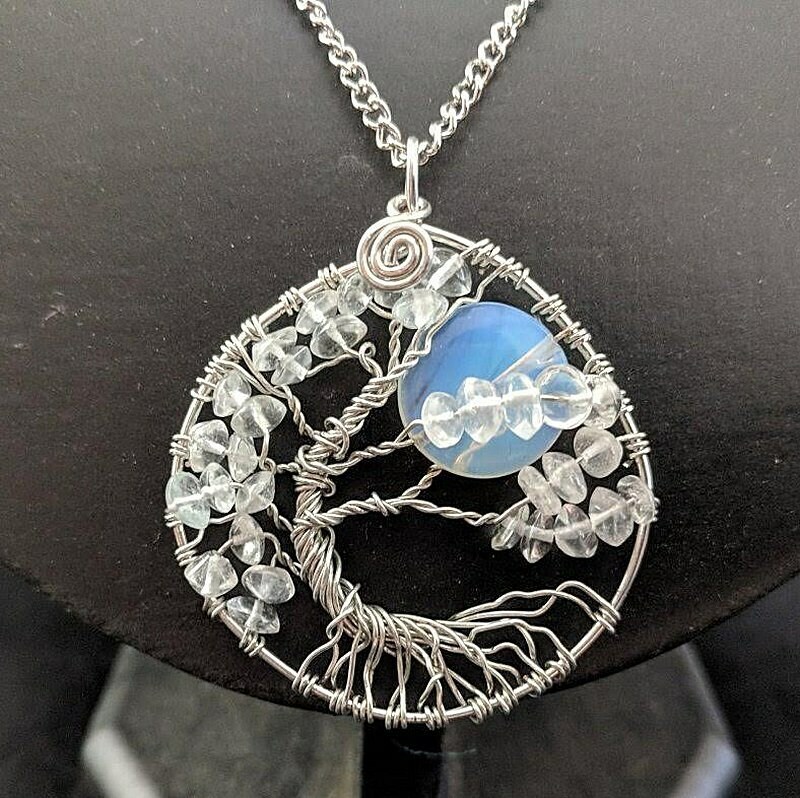 Clear natural stone beads representing the crown chakra fill the branches of this unique piece of jewelry reminding us that winter is a time for introspection and reconnecting with spirit. The pendant has a sacred spiral near the bail and measures 1 3/4" in diameter. 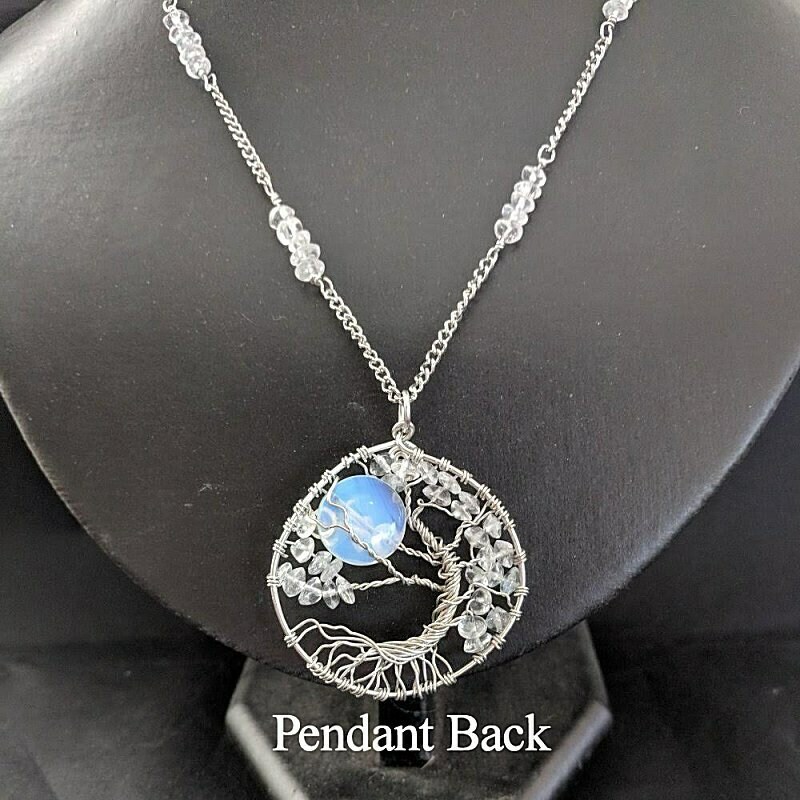 It hangs from an 18" chain that has clear quartz crystals links for additional energy. 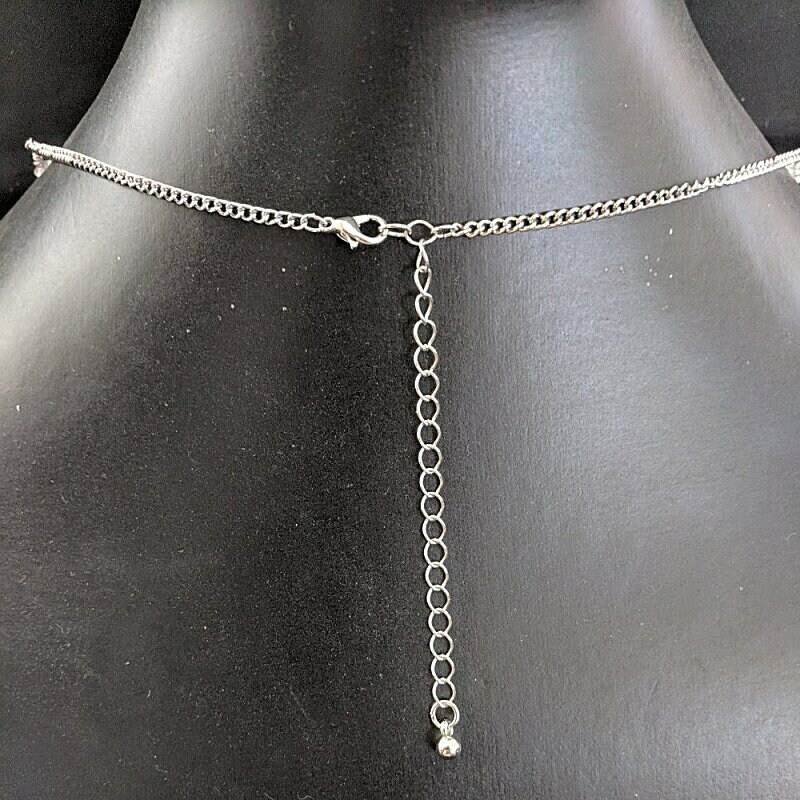 The chain has a lobster claw closure and an extender chain that will add 3 more inches to the necklace length. CROWN HUMAN ENERGY CENTER - Seventh/Crown Chakra - Sahasrara (Sanskrit name meaning "thousand-spoked"
Located at the top of the head, the main focus is connection to spirit and wisdom. 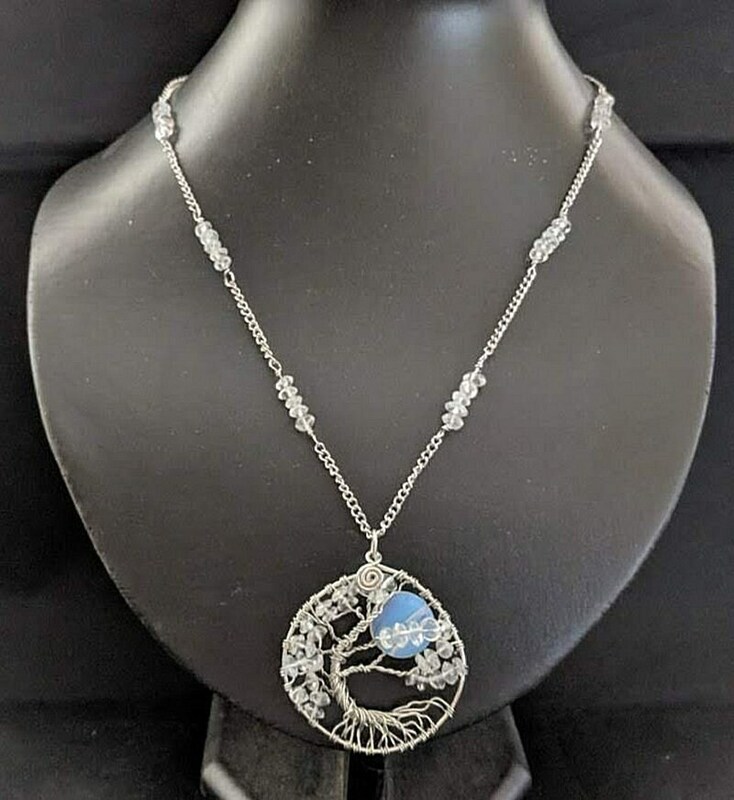 RAINBOW MOONSTONE is a beautiful crystal that embodies the feminine vibration. It aids women who feel out of balance at the time of the full-moon. 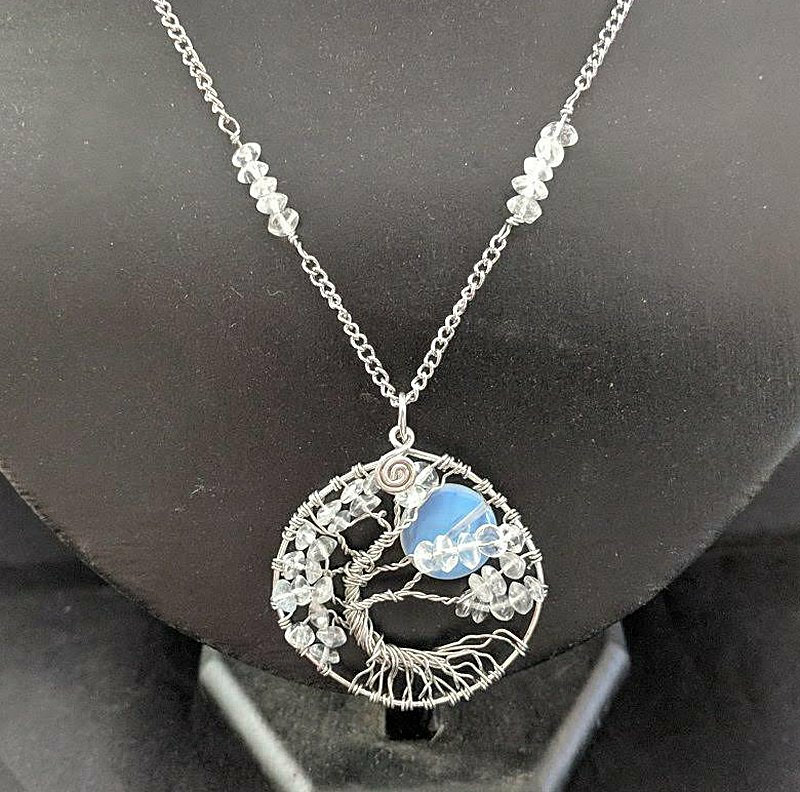 If you resonate with the feelings of the concept of 'howling at the moon', keep a piece of this lovely Gemini and Cancer birthstone on your body to bring balance and strength of spirit. These crystals have a magical vibration that helps to enhance the spiritual aspects of the moons vibration, and are known to enhance your innate psychic powers. WHITE/CLEAR pigment is the lack of any color, while WHITE/CLEAR LIGHT contains all colors. Since all colors are present, white does everything on all levels: physically, emotionally, mentally and spiritually. White is about purity, innocence, softness, illumination, release, brilliance, radiance, transcendence, merging with God/Goddess/Universe/Nature/Spirit or whatever one calls their higher power. Being all colors, it lives in all the Chakras, but is often associated with the Crown Chakra. SACRED SPIRAL - This is the oldest symbol known that was used in spiritual practices. It reflects the universal pattern of grown and evolution. It helps consciousness accept the turnings and changes of life as it evolves. The acceptance of change is one of the greatest freedoms a human can experience, putting consciousness in the present moment where the POWER OF CREATION is condensed.